It's Easter! That means it's time to collect eggs and randomly give them to other people! As with previous years, you can collect eggs from around the site by playing games, exchanging socks for them, or buying them with BC in the shops. Once you've got some eggs, go wild on other people's profiles! For giving eggs to other users you can earn six new adoptables and POWER buffs. 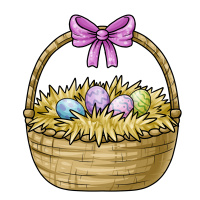 At the end of the event, the eggs in your basket turn into currency to spend in the Easter prize shop, so make sure to give eggs to as many people as you can so you get the most eggs back. If you're particularly generous, you can see users who need some more eggs here! If your Golden Eggs have been behaving a little spooky lately, there's a slight chance that Crowley has been nearby... Ever continuing his experiments, he has now fused the Lumen and the Roranki to create the Lumanki. If you want to know what such a fusion entails, head on over to the Freedom Forest and grab yourselves some Species Eggs! 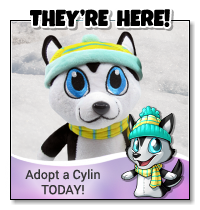 There is a new puzzle over at the Puzzle Station! Will you be one of the ones to solve Quag's Weekly Puzzle #30 and earn a sweet prize? There is a new puzzle over at the Puzzle Station! Will you be one of the ones to solve Nonogram Notes #2 and earn a sweet prize? 3D Printed Maruchi Figures - now on sale! New sizes and lower price!